Dark Perfume is currently priced at £0.99/$0.99. 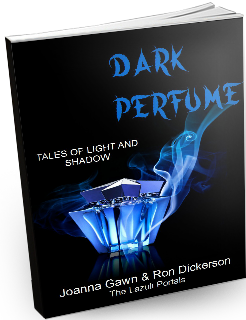 These excerpts have been added to our Dark Perfume slideshow (see below). If you hover your cursor at the top-right corner of each slide, you can advance to the next one at your own pace. There are a further four excerpts toward the bottom of our Home page. 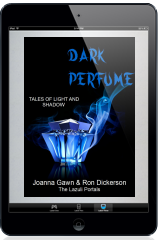 To purchase your Kindle copy of Dark Perfume, please follow the link to your Kindle store. Thanks so much for your purchase - we hope you enjoy the book! P.S. Sign up to Lazuli Portals News now to ensure you receive news about our future releases. If you prefer to sample from the Kindle book itself, then please feel free to use the Preview Tool below.